David Ricardo (1772 – 1823) was a hugely influential British political economist and stock trader. This volume, first published in 1923, contains five important pamphlets published by him, edited and with an overarching introductory essay by E. C. K. Gonner. 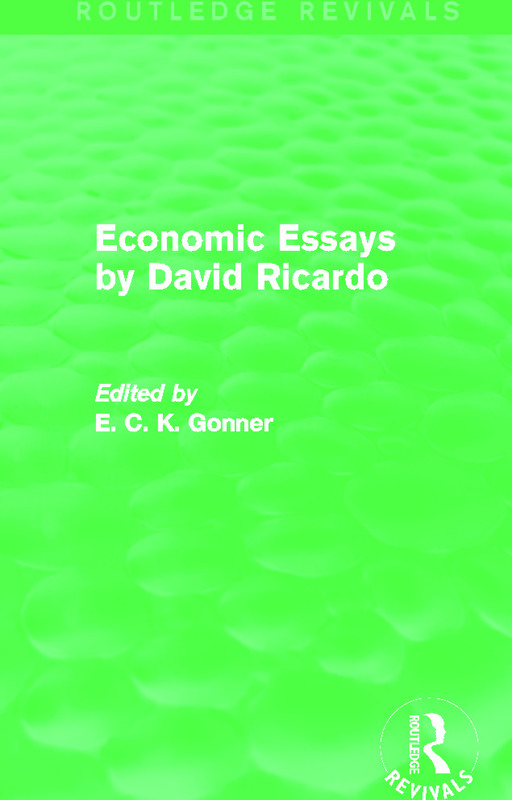 Each essay relates either to monetary and financial subjects - including the high price of Bullion, monetary theory and the position of the Bank of England - or to the agricultural conditions of Britain and proposed solutions to the problems discussed. This is a fascinating and detailed work, which will be of great value to those with an interest in Ricardo’s theories and British economic history.